Offered by us is a wide range of high quality Pipe Fittings Flanges. The qualitative feature of the product is that they are highly durable and strong. 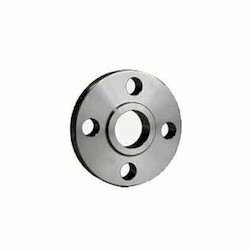 These pipe fittings flanges find applications in various different industries. The products are highly demanded in the market and can be easily availed at pocket friendly prices. Our range involves high quality flanges. We have expertise in the exporting and wholesaling of gamut of Flanges, which are made up of supreme quality raw material. The major features of the product involve anti-corrosive, chemical resistant, highly efficient, durable, and quality oriented and sturdy constructed. They find applications in the areas such as shipbuilding, gas power plant, contractor, refineries, nuclear engineering and many more. Looking for Pipe Fittings Flanges ?